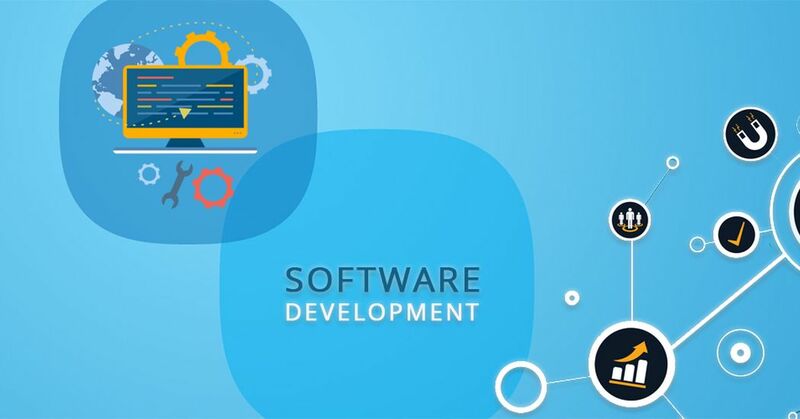 Software development includes application development, software design, designing software, software application development, or platform development.The process of software development goes to a series of steps that is followed by all the developers.This is known as software development life cycle. Planning:It involves identifying the project,describing the project goals,and development strategies. Analysis: It is the process of gathering and interpreting facts, diagnosing problems and recommending improvements to the system. Analyzes end-user information needs and also removes any inconsistencies and incompleteness in these requirements. System design:The objective of this phase is to transforms the business requirements in to the system architecture.This step helps remove possible flaws by setting a standard and attempting to stick to it. Development and implementation:In this stage ,the code is written. Testing:Once the software has been tested, it is time to deploy to production where customers can use the system.If an issue is encountered in the production the development team is informed and correct it as soon as possible. Maintenance:Once the software passes through all the stages without any issues, it is to undergo a maintenance process wherein it will be maintained and upgraded from time to time to adapt to changes. There are thousands of software development company .Choosing the best option improvises the business process surely in terms of revenue and brand value.The most important priority which needs to be taken care while choosing a company is Collect data about the company’s technical skills, knowledge on latest updates, knowing better market trends, etc.We helps you by suggesting the top companies in Pakistan as per your requirements. Novstore solutions is a place where design-enthusiasts and tech-freaks connect via innovative Ideas which delivers end-to-end world-class solutions and award-winning applications for a variety of clients, ranging from startups to large scale companies. Appscinated is specialized in providing high-quality products and services in the fields of software and web development, networking and hardware solutions, information technology, technical support and supplies. Appscinated has the objective of providing solutions and services to meet the critical business needs. Softtech systems is specialized in Healthcare, HIMS Development, Capital Market, Asset Management, Mobile and Web Apps, Internet of Things.It assures you the best business solution for the needs. Ciklum is a top-five global Software Engineering and Solutions Company which delivers software engineering excellence to Fortune 500 and fast-growing organization around the world.Their 3,000+ Developers provide the clients with a range of services including Software development teams, QA, R&D, IoT, Big Data, Product development and Consulting.